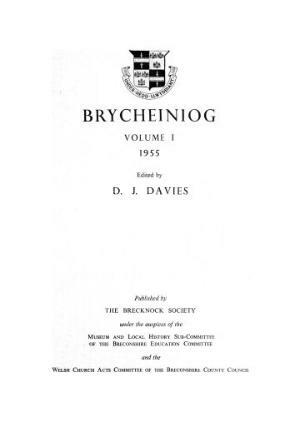 Brycheiniog is an annual English archaeologiocal and historical journal, containing academic articles relating to the area, book reviews, and obituaries. It also includes society notes. Publisher Details: The Brecknock Society was founded c. 1928 to promote understanding of the natural and historical heritage of the county. In 1986 it merged with the Friends of Brecknock Museum to form the Brecknock Society and Museum Friends.